If you’ve caught tiny house mania, live within 100 miles of a metro area, and have been wanting to get into the Airbnb biz, good news: You’re eligible to apply for a free tiny house, thanks to a company called Escape, which has been building and selling beautiful (albeit small) homes for the past 25 years. While tiny houses typically range anywhere from $7,000 to $30,000, Escape is offering free homes through a partnership program. Essentially, anyone living near the 50 top metropolitan areas in the country can apply to obtain one of these homes, so long as they use it as a rental property through Airbnb or any comparable renting program. They’re responsible for insurance, upkeep, and utilities, and in return, they’ll receive 40 percent of proceeds from renters. Not too shabby. The other catch? 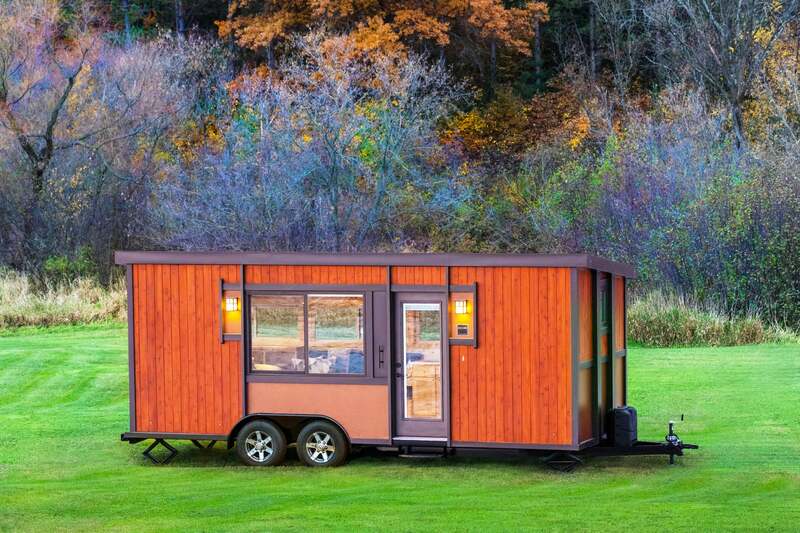 These properties are solely for renting out to guests—which means that partners themselves can’t live in the tiny homes unless they choose to buy the property, which they are free to do at any point. Now you can get a little extra cash on the side without transforming a room in your home into a rental property—and who knows, you might end up saving enough money to buy that tiny home for good.